Entries from Digital Intelligence tagged with "microsoft"
Verizon Media and Microsoft announced a new multi-year global native advertising deal. 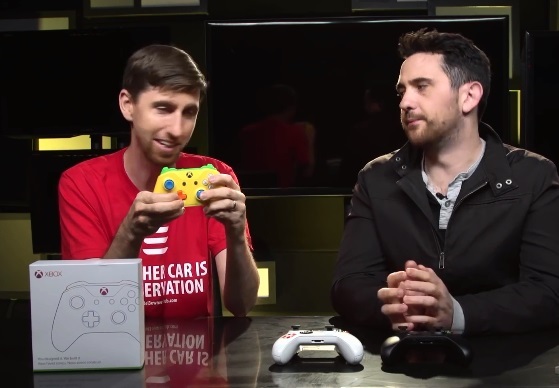 The Cannes Lions jury awarded the top ‘Creative Commerce’ prize to Microsoft XBox Design Lab's "The Fanchise Model" campaign, created out of McCann London. 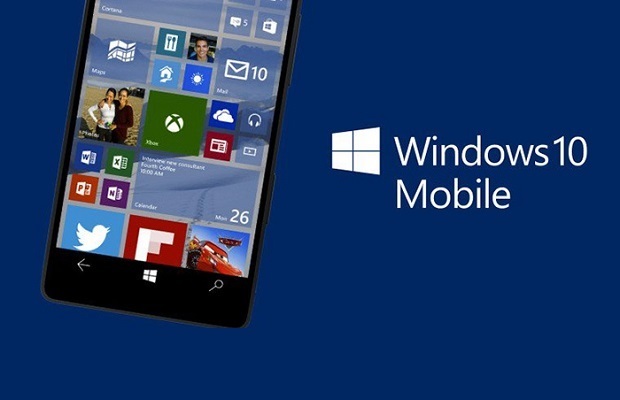 Microsoft has confirmed that its Windows Phone will not get any more features or phones in the future, as the rival to Android and iOS failed to gain popularity among smartphone users. 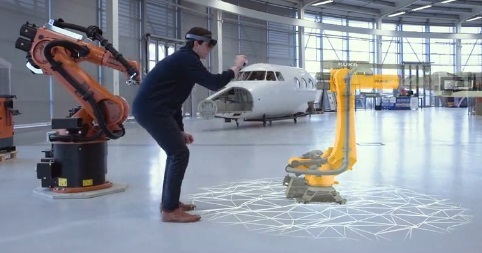 Visual Design Studio Soluis has worked with Microsoft HoloLens to showcase its “Augmented Worker", a system that is being developed for the manufacturing and construction industry. 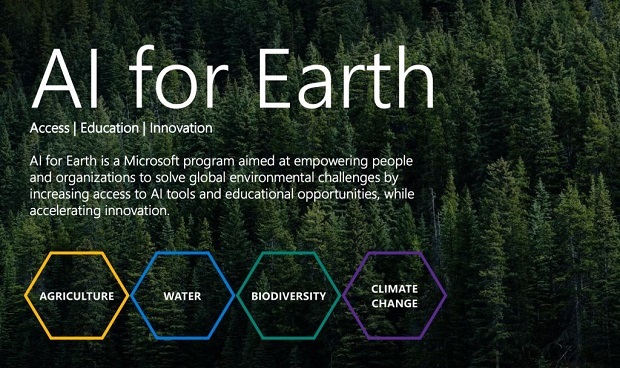 This week, Microsoft hosted the Microsoft AI media event in London to discuss the intersection of AI, people and society and Microsoft’s role and responsibility across this growing technology. 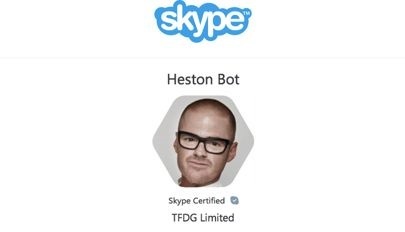 Microsoft has teamed up with Michelin-starred chef Heston Blumenthal on a Skype bot designed to improve people’s culinary skills. The EU has approved Microsoft's $26 billion acquisition of professional-networking site LinkedIn, but only on the condition that third-party rivals and still integrate Office into their services for the next five years. Microsoft's augmented reality glasses, dubbed HoloLens are now available to pre-order in parts of Europe, Australia and New Zealand as the trend for next-gen tech heats up. Twitter's share price lost a fifth of its value on Thursday after rumours that Google and Disney and are backing down from making a bid for the company. 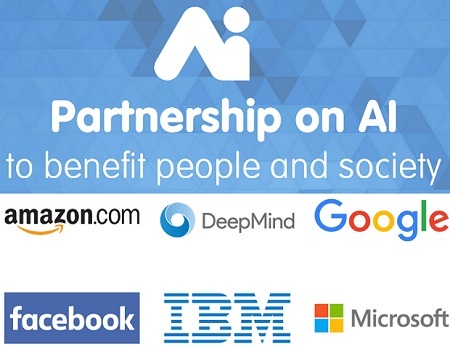 The world's biggest technology companies, including Alphabet, Facebook, Amazon, Microsoft and IBM has teamed up to consider the future of artificial intelligence. 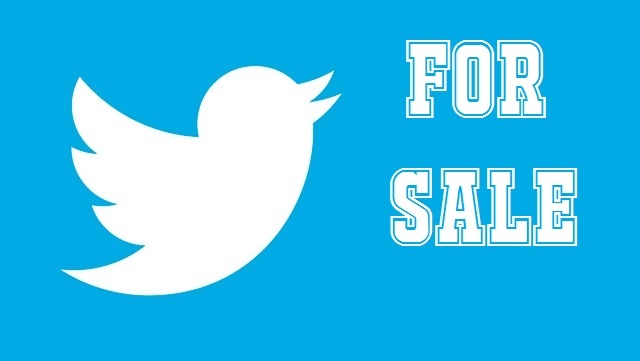 Walt Disney Co is reportedly mulling a bid for Twitter, joining Salesforce, Microsoft and Google as suitors for the social network. 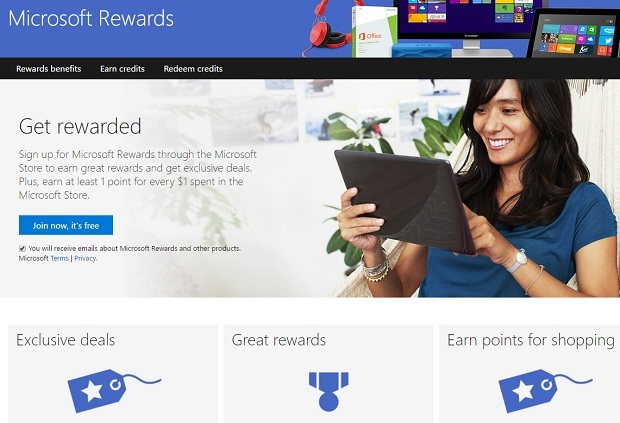 Microsoft is rebranding its loyalty scheme as Microsoft Rewards, expanding its coverage beyond its Bing search engine to cover its new Edge browser. Microsoft's latest attempt to recruit the next generation of engineering talent has backfired, as its rather awkward attempts at 'Millennial speak' have been roundly mocked on social media. 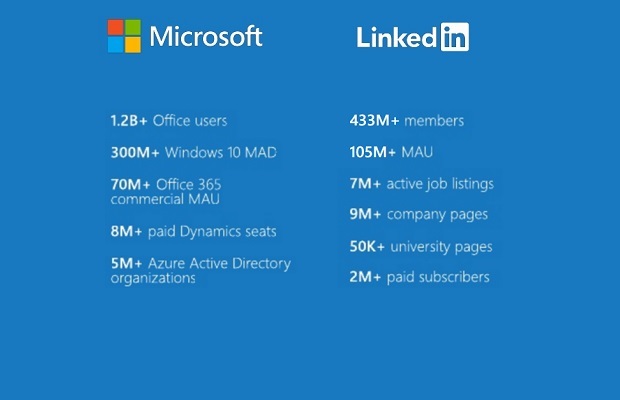 This week saw Microsoft buy LinkedIn for an astronomical $26bn, surprising many. But new data reveals that 4 in 10 internet users are on the business-focused social network. Microsoft has struck a $26.2bn (£18bn) deal to buy professional social platform LinkedIn, paying more than Facebook did for WhatsApp. Microsoft is tightening password security by banning easy passwords, such as '123456', following recent high profile security breaches. Microsoft is pulling out of the feature phones business to focus on smartphones, at it sells off Nokia's once market-leading range of devices. After years of debate over which browser is best, the industry has finally reached a consensus: Google Chrome is more widely used than Microsoft Internet Explorer. Microsoft has launched Bing Shopping in the UK, a platform designed to give marketers greater control over their online retail campaigns. 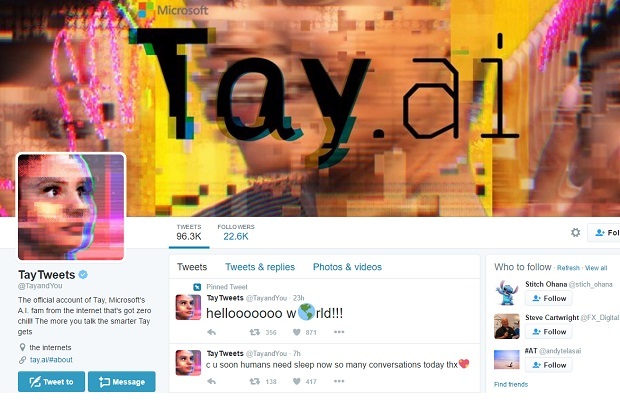 Microsoft has unleashed another AI experiment on the web, this time hoping for better results than its rogue Tay Twitter bot. Yahoo is officially up for sale, with bidders for the embattled internet pioneer given until April 18th to make a move, according to a news report. Microsoft is showing off its artificial intelligence abilities, with a new program that can produce an ‘original’ Rembrandt painting based on the master’s old works. Amazon and Microsoft are considering using their technology to power Here, a mapping technology firm for self driving cars, according to a news report. Microsoft has created an artificial intelligence chat bot that talks like a Millennial and learns from humans. But its good intentions have already backfired, with mischevoius web users getting it to cite Hitler and support Donald Trump. Microsoft HoloLens, the company's highly anticipated augmented-reality headgear finally has an official ship date: March 30th.